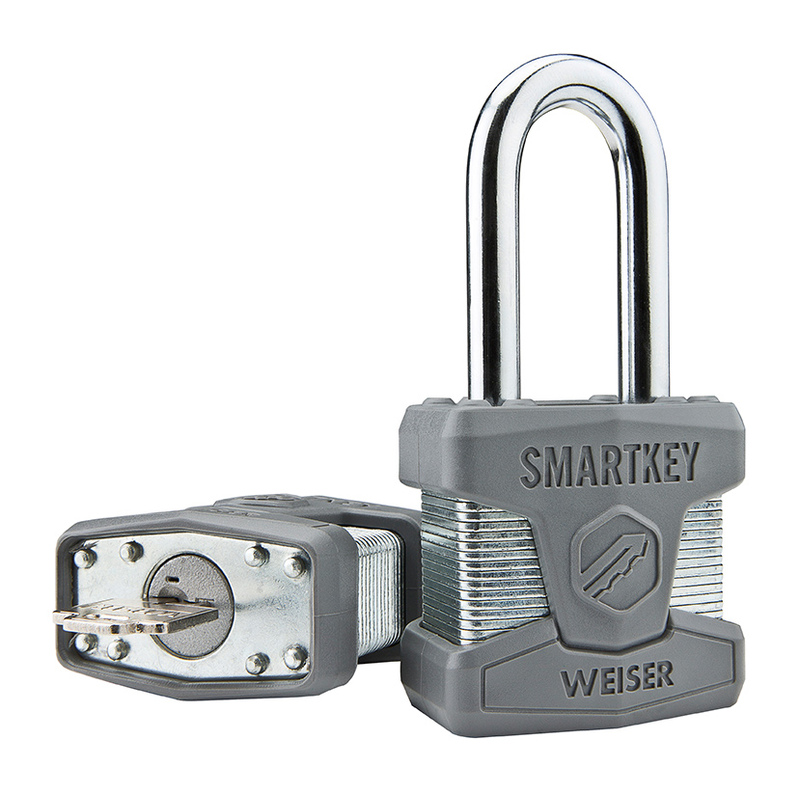 The Weiser SmartKey® Standard Shackle padlock offers security and convenience because you can use the same key to unlock your home and the padlock! •SmartKey re-key technology is pick resistant and bump proof. Lock bumping, or key bumping, is an attack technique using specially cut keys that can defeat conventional pin and tumbler locks.